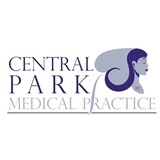 Central Park Medical Practice, PC (New York) - Book Appointment Online! She was incredibly nice, professional, and thorough. She not only answered my questions but also gave me really important information which I’m very thankful to have received. My appointment today was great! I went in for a consultation for changing contraception and Debbie was great at really explaining all of my options, offering literature and recommending other places to find even more information so I can make the most informed decision I can. Definitely will be going back and using this office for my gyn care in the future!